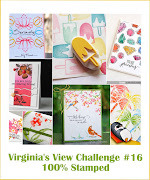 Today is my final post for the Challenge Up Your Life guest DT spot. I had fun during this time and you MUST check out the amazing design team they have!! 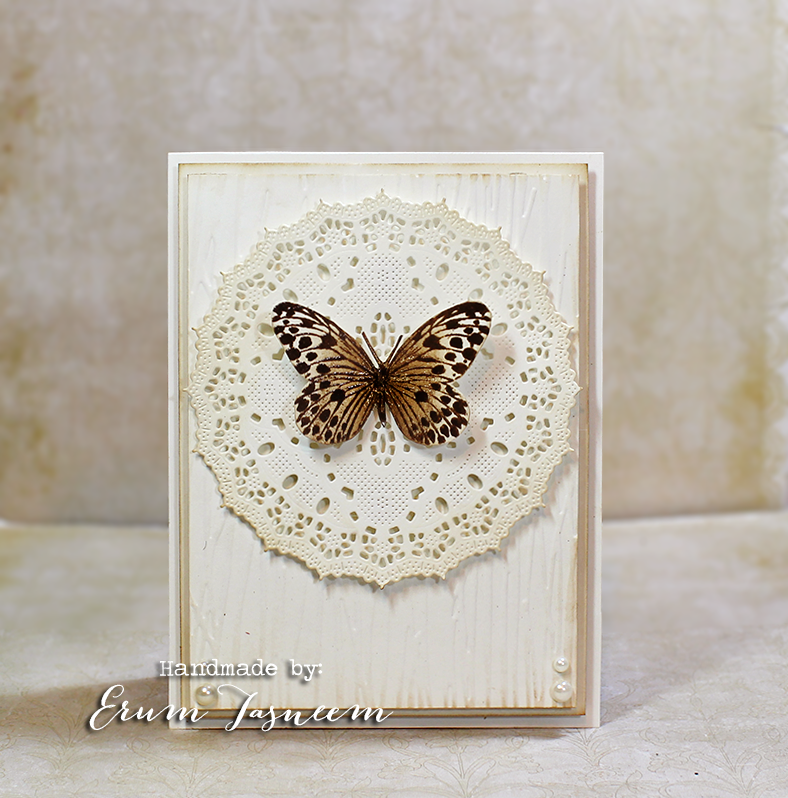 Since I had nothing on hand I chose to go with my wood grain embossing folder to create a monochromatic card. 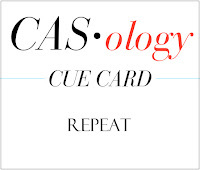 I CASED my older card HERE. I think I stopped by everyone's blog who left a comment here, if I missed yours please leave a comment and I will hop right over! Another card with die-cutting and heat embossing. This time I tried something different. I used around 7 SSS Exclusive Stamps and two Dies to create this card. Will list the stamps at the end of this post. 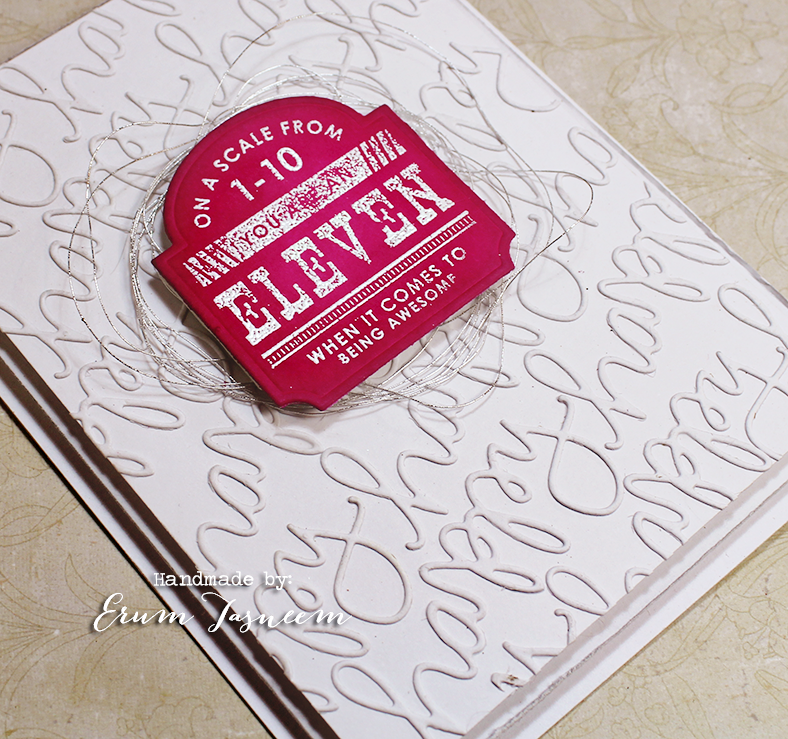 Taking part in Jen Shurkus's 10th Blogiversary, I thought I'd CASE the following card of hers. 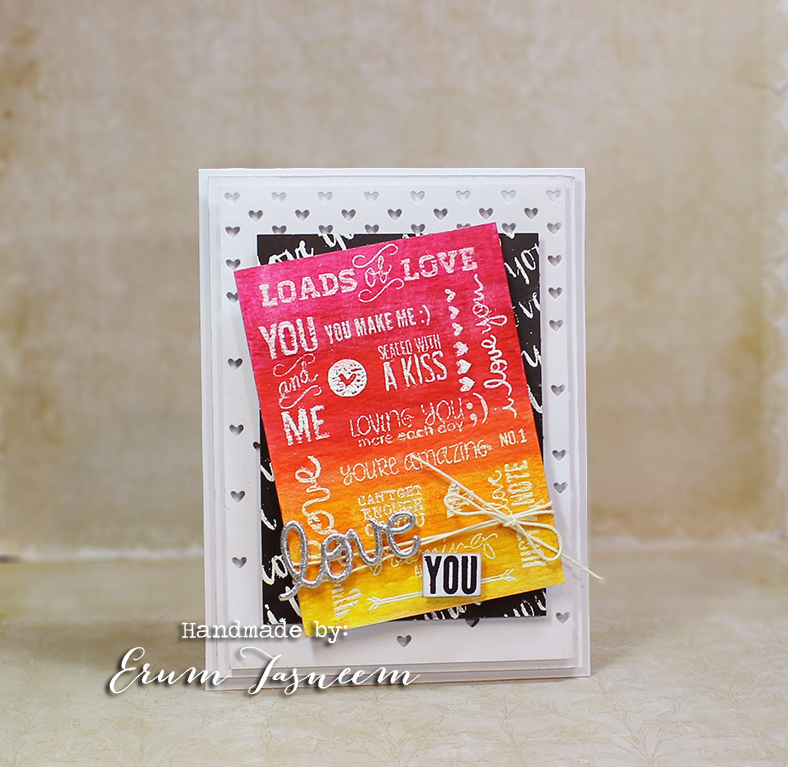 I have used the falling hearts background die along with the "love" die. 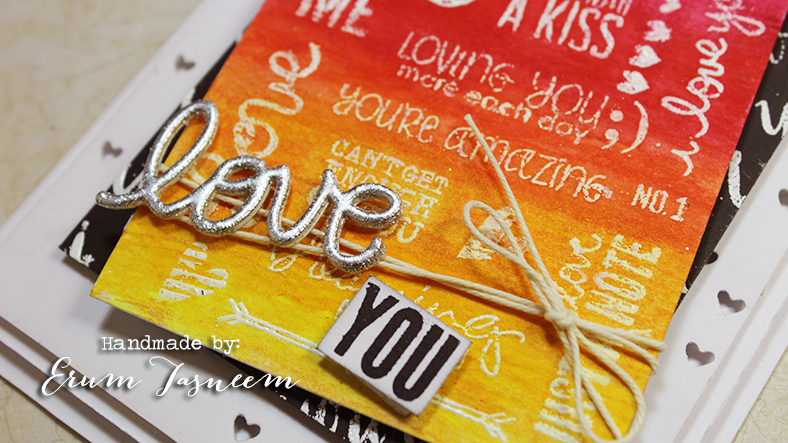 I used "I love you" to white heat emboss on black cardstock to make a contrasting layer. Watercolored a panel cut out from Tim Holtz watercolor cardstock using Gansai Tambi watercolors and then white heat embossed several sentiments on it to give it a faux subway art look. 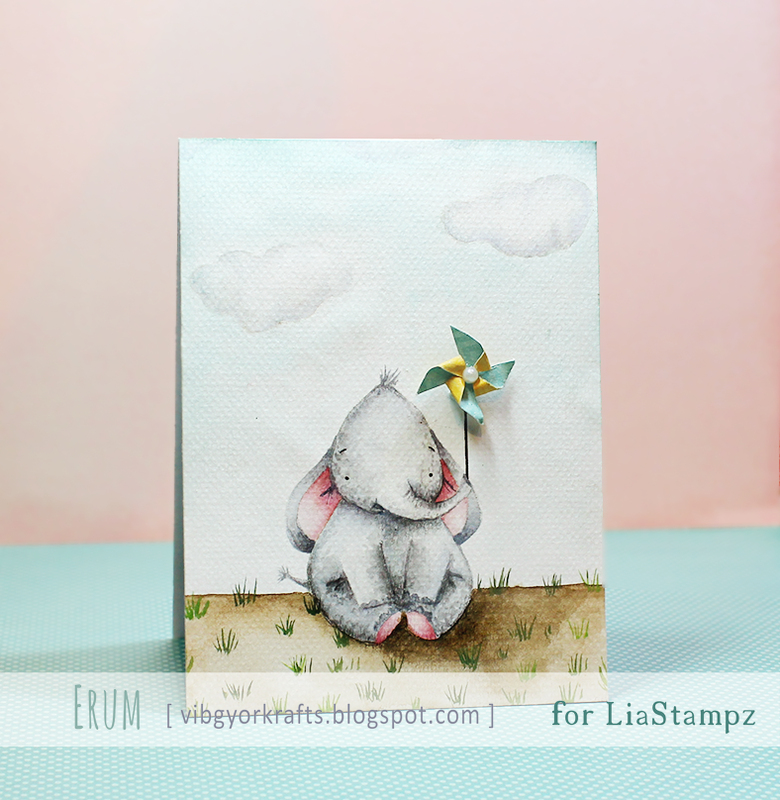 I made a mistake of stamping on the textured surface, hence the grungy heat embossing. I do like the Gansai Tambi's bright bold colors. Yep! I went a bit diecut crazy. I used the SSS Exclusive Happy die plus the Apothecary labels and die set for my card. I diecut the "Happy" die about a hundred times (or so it feels) and spent over an hour or two making the background! When I was done with the background it looked so good I almost forgot about the agony of diecutting happy a million times (err a hundred times, sorry!). The white on white looked very fresh and clean. I actually planned on using the "You" die but that was TINY, it was equal to 2 times the happy die so I did what was best for my poor little hand and went with the happy one! 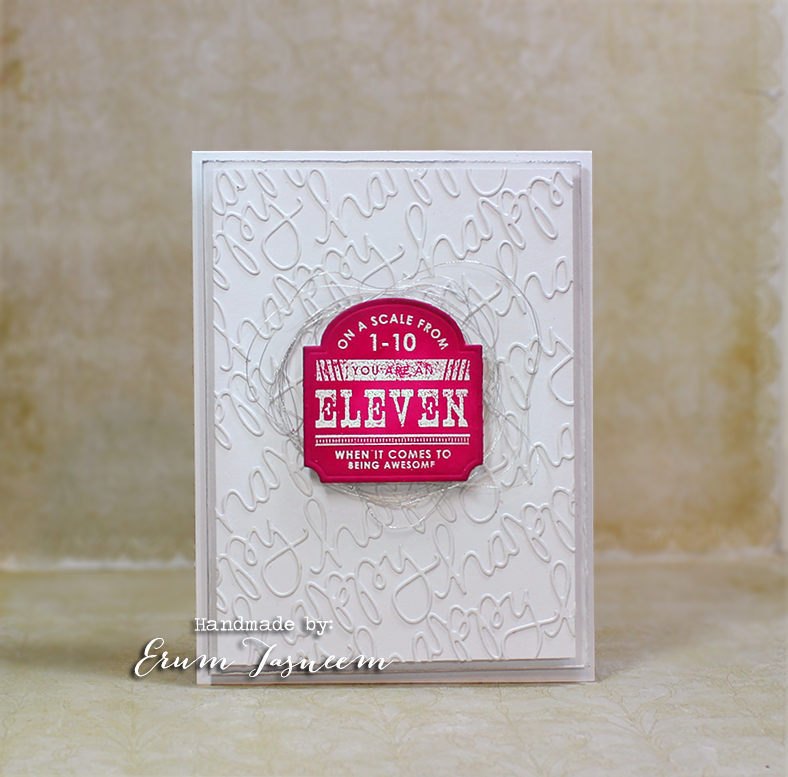 The sentiment is heat embossed and then diecut using the matching label die. Added a bit of silver string to add a little bling, didnt have any silver cupped sequins on hand otherwise this would have looked absolutely complete! I am so sorry I have not visited your blogs in a while. Will make sure to stop by over the weekend. 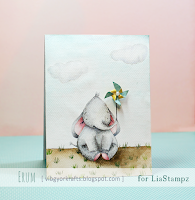 It's my third card for the Challenge Up Your Life guest DT spot. This is a total Hero Arts card. Have not made one in a while. I stamped a butterfly on a separate piece of cardstock and used it as a mask to stamp several of them on the watercolor paper. 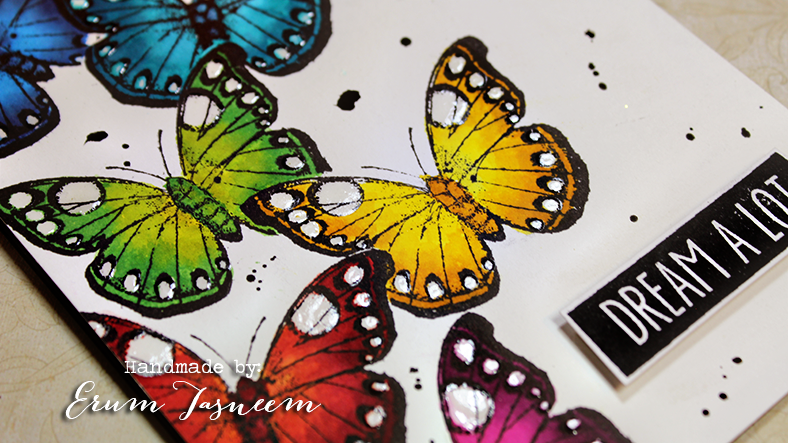 I also masked some parts of the butterfly with my versamark pen and then clear embossed it. I also used glossy accents as a mask (thanks Tejal for the tip!). 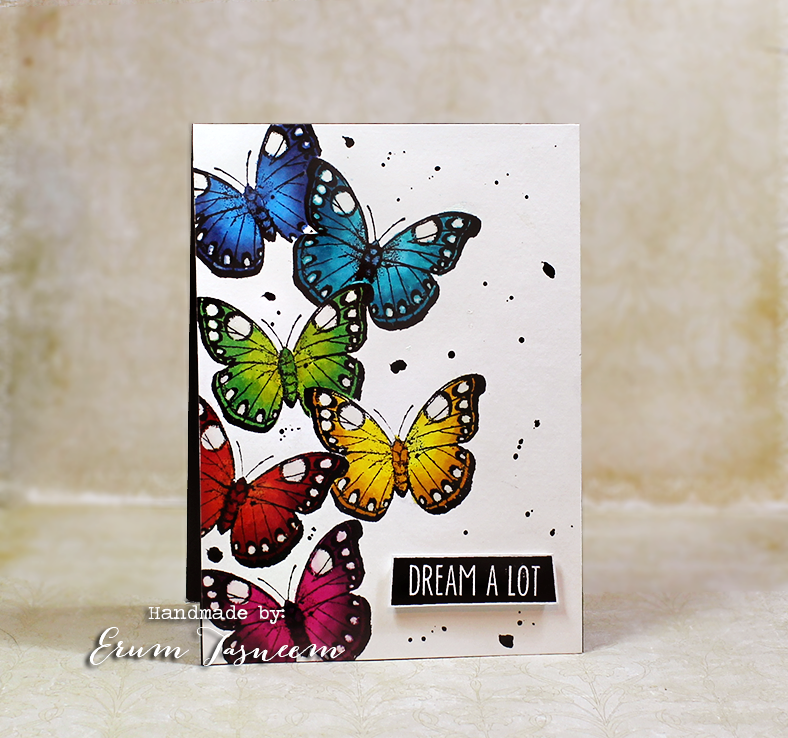 The butterflies have been watercolored using several colours of distress inks. Both stamps are by Hero Arts. 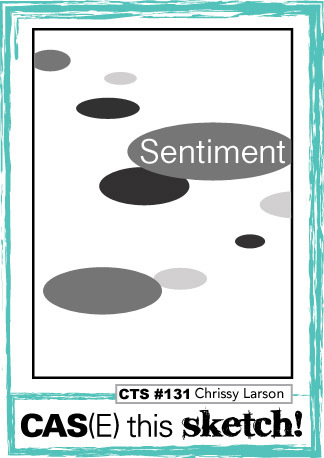 The sentiment is heat embossed. 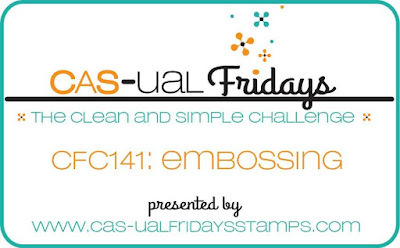 Stop by the CUYL challenge blog to enter! That's all from my side today. Things have been insanely busy here and I have a severe migraine so this is going to be super short. 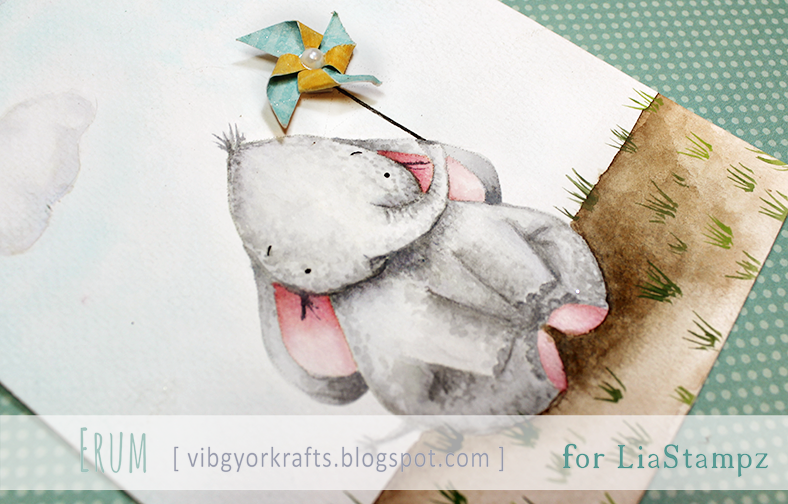 I really wanted to use this adorable elephant by Lia Stampz so I made my own 0.75" pinwheel as my "handmade flower". NOT the easiest task I tell you! The image is a no outline one, watercolored using distress inks. That's it from me, Sitting in front of the laptop is hurting my eyes so much!